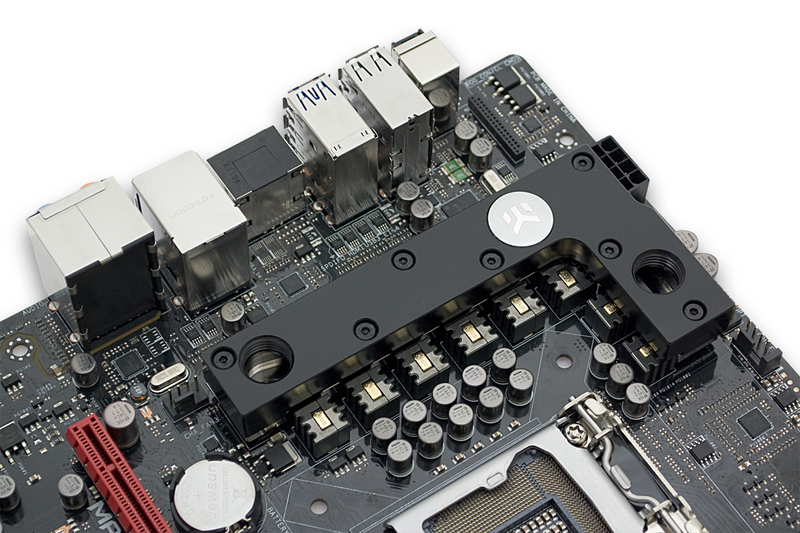 EK Water Blocks, Ljubljana based premium water cooling gear manufacturer, is proud to introduce the EK-MOSFET ASUS M6G – a new water block for water cooling of the power regulation (VRM / MOSFETs) module on ASUS® Maximus VI Gene and –Hero series motherboards. This product features pre-installed nickel-plated brass standoffs and utilizes ASUS factory provided backplates. EK-MOSFET ASUS M6G is readily available for purchase through EK Webshop and Partner Reseller Network.